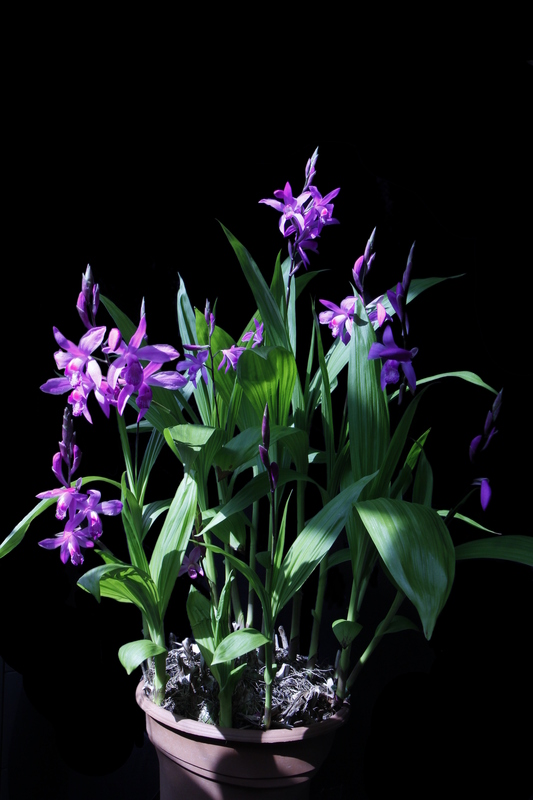 Description: Bletilla striata is of special interest in having an embryo with a rudimentary, vascularized cotyledon--it is one of only ten species (among more than 22,000 orchid species) that does! 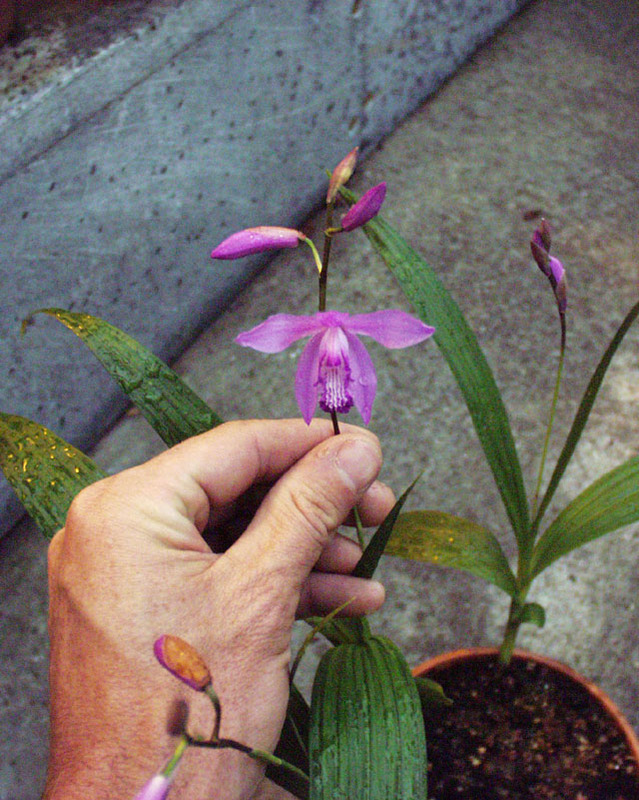 Moreover, most orchids totally lack endosperm next to the embryo, but in Bletilla some endospermal cells persist within the seed. 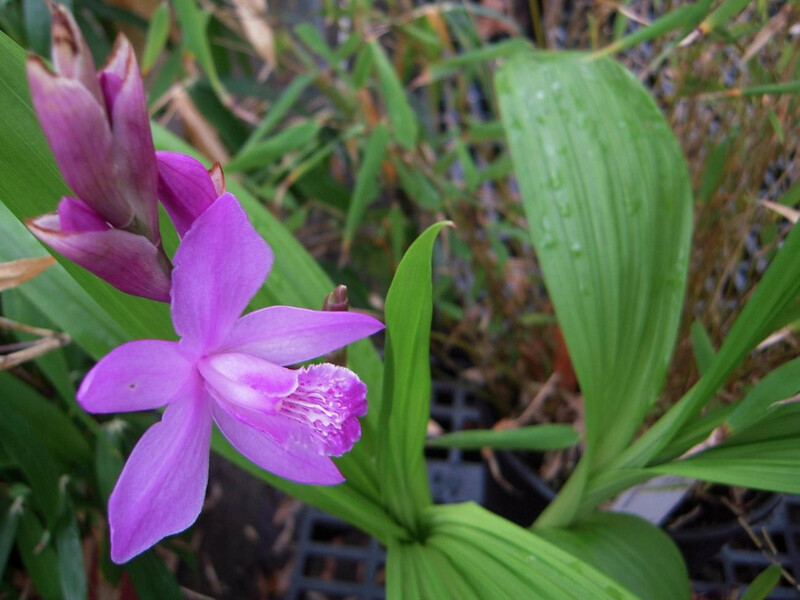 Bletilla striata also has an interesting capsule that splits open along six lines of weakness. Uses: Used in traditional Chinese medicine as a haemeostatic agent to control hemorrhage. Also widely used intra- arterially for treatment of cancer in the liver, kidney, and uterus. 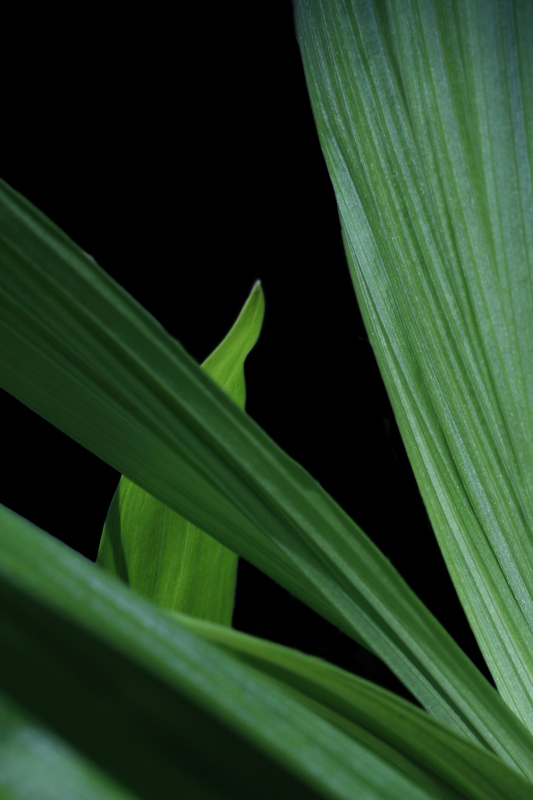 The use of orchids in traditional Chinese Medicine. J R Soc Med. 2007 Dec; 100(12): 558-563. Accessed 15 February 2015. 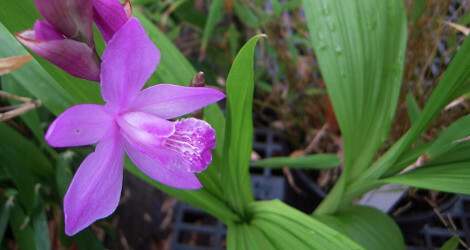 Bletilla striata at Orchids Wiki. Accessed 21 May 2015. 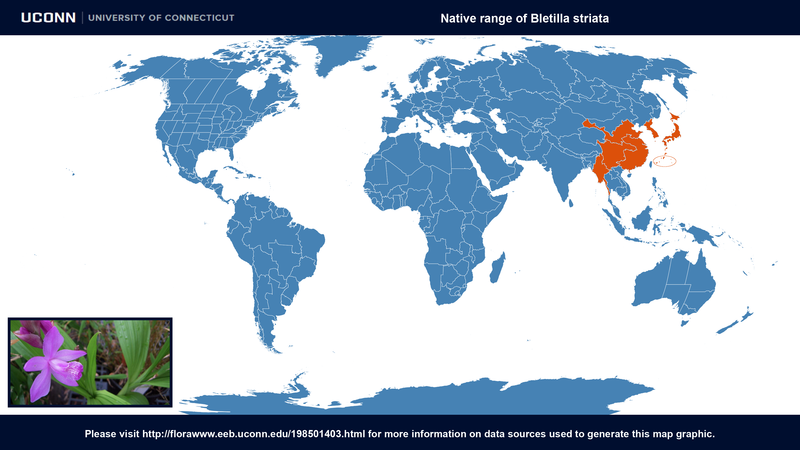 Bletilla at Wikipedia. Last accessed on Wednesday, July 13, 2016.